Artists in general, and those of Kathmandu Valley in particular, have the skills and knowledge to turn a something as commonplace as a piece of stone into a great piece of art such as a priceless idol. They can turn a simple sheet of copper into a work of art that can awe even after centuries. Even when empires and cities fall — as they are defeated in wars or are destroyed by fire or earthquakes — these masterpieces are saved, preserved and put into bulletproof glass boxes for the future generation. In the Kathmandu Valley, many young people have the needed skills to produce these masterpieces even today. We need to realize this and promote a conductive environment for them to excel. Around the world we see amazing art and craft, buildings and structures; but in many places there is no one who can still make them or even repair them. Kathmandu has no such problem till now. We need to build on what we have. Raj Kumar Shakya of Thaina in Patan has just completed the 155 feet tall statue of Guru Padmasambhava in Bhutan. Everyone can see the amazing skills and knowledge Raj Kumar has, just by looking at this awesome statue. In the course of the four years of hard work, Raj Kumar managed a team of 60 artists, a third of who are from Kathmandu. He worked on nearly 250 tons of metal and created this image that is sure to be remembered for a very long time. The repousse art form which is basically a technique to emboss sheet metal was a dying art when Raj Kumar began to learn and master the skills. He has not only been able to revive his family tradition but also attract other young people to take it up. He has been able to generate enough work and resources to take on major assignments over the past 25 years, of which the 155 feet tall Padmasambhava in Bhutan is the latest. If you are a producer you will know how difficult it is to get a line of credit, to hire and to manage a good team, and cash flow can be really difficult if the work at hand is spread over several months or even years. Art is often not appreciated when the economy is not doing well. The sad story of our poet Laxmi Prasad Devkota should be a good reminder. You may not only suffer financially but may even be declared mad. There is another popular story of how the great artist who carved the famous Palanchowk Bhagwati had his hand cut off….what a way to be rewarded. Today we are all aware of the humiliation artists face at the hands of accountants and people who sign the cheque book. Some people who have no skills of their own get into these positions of power and make life of our artists really difficult. Only when countries and communities have visionary leaders have art and artists flourished. These are often referred to as the golden era and don’t come around too often. Raj Kumar Shakya has just shown us all what the Nepali artist is capable of achieving today. He is a manager, an entrepreneur and a master craftsman. 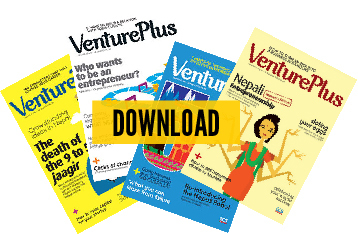 Raj Kumar is capable of creating a large economy for Nepal with the entire region as a marketplace. If the statue of Liberty in New York harbor needed repair, Raj Kumar would be the person to do it. Great Buddhist teachers travelled all over the Himalayan landscape. 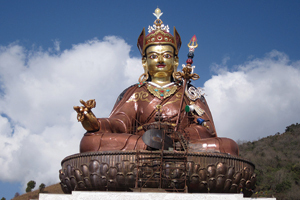 Guru Padmasambhava was born in the western Himalaya, studied at Nalanda, meditated in Pharping, just south of Kathmandu, established monasteries in Tibet, and then went on to Bhutan. This sacred landscape is being brought back to life by our artists who deserve our respect and support. They are preserving our heritage and also re-creating an economy around their work. Everyone aspires to do work that is respectful, pays a return that allows for a comfortable life, and inspires us to wake up early in the morning to do more.